I've been checking through my Flickr (It's my favourite self indulgent hobby) and I realised that over 100 photos from Krakow weren't on there! 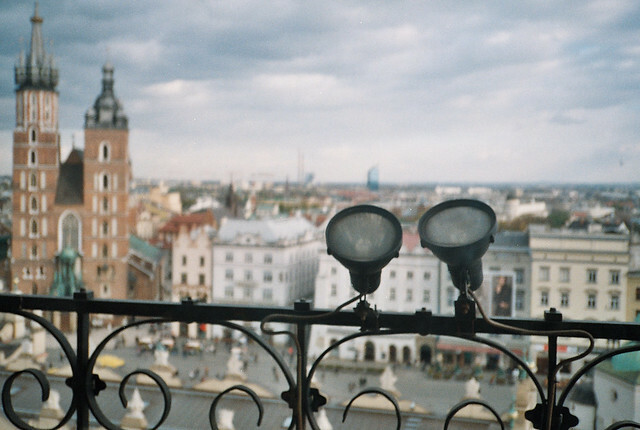 So here are some forgotten photos with my two yashica cameras from the top of Krakow Town Hall. It really doesn't feel like that long since we were there. Luckily this weekend I took two rolls of film, so hopefully my blog mojo will come back with some new photos - anyone else suffering from blogger blues at the moment? Is it the time of the year?